The Italy EDC will have their monthly meeting on Monday, September 24, 2012. 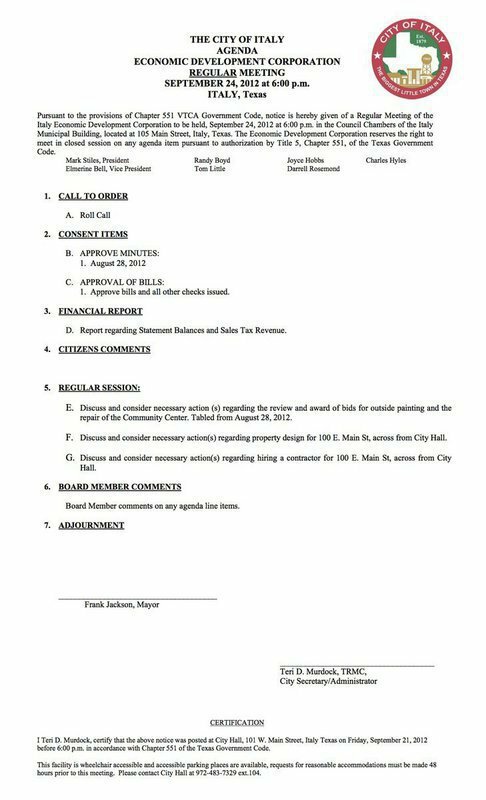 The meeting will be held at the Council Chambers of the Italy Municipal Building located at 105 West Main Street, Italy. Meeting time is slated for 6:00pm. The meeting is open to the public. Everyone is welcome to attend.